A new suggestion box has been placed by the main entrance in the club. Members are invited to leave (constructive!) 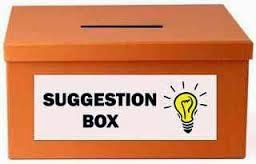 suggestions in the box for how the club could be improved, ways to save money and events they would like to see, etc.